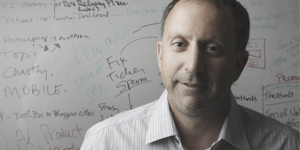 Michael Covel speaks with Howard Lindzon. Lindzon is a Canadian entrepreneur, author, financial analyst, technical analyst and angel investor. Lindzon manages a hedge fund, serves as managing partner of the holding company Social Leverage, limited partner at Knight’s Bridge Capital Partners, and is the co-founder of StockTwits. He’s also known for the satirical podcast Wallstrip. Lindzon and Covel discuss the commonalities between the angel investing world and trend following; over-diversification; diversification in private investments vs. stocks; how Lindzon got the entrepreneurial “bug”; Lindzon’s early career as a stockbroker; the beginnings of Wallstrip; Lindzon’s comedy influence; how Wallstrip led to the next four years of Lindzon’s investments; how Lindzon’s mistakes helped him grow as an investor; Lindzon’s experience with fraud committed by a business partner; keeping your business drama-free; the issue of distraction; Lindzon on the birth of StockTwits; the investment that changed Lindzon’s financial life in 2005; the future of StockTwits as Lindzon sees it; social leverage; the art of curation and verticalization; and thinking of the financial web as a social bank account. Howard Lindzon can be found on www.howardlindzon.com. Learn more on the question of what is StockTwits?